Extrusion is a manufacturing method where long lengths of the same cross section can be produced quickly and repeatedly. It can be a highly economical method of manufacture even when some post machining is required to add fixing points, threads or access panels. Whilst there is tooling involved, it is not in the same league as injection mould tooling, being simpler to manufacture and lower cost, and so we are able to produce low volume quantities of parts extruded in short lead times and at relatively low cost. Whilst as a production technique where the requirement is in kilometres, this is good news. When it comes to plastics, the most widely extruded material is PVC. Rubbers and silicones can also be extruded relatively easily so long as the part size is not too large. Prototyping short batches can be an issue as extruders are loath to set up for small batch work, especially in unusual materials. To circumvent this there is frequently a setup charge or the job is costed on a time basis, both of which can make short runs expensive. Extruding in materials other than plastics, whilst possible, incurs considerable setting up time, which has to be reflected in the costs. This is seldom an issue in production where these costs can be amortised into the total length, but for prototyping can raise problems. Lead-times for all prototype extrusions will be of the order of 3 - 5 weeks depending on complexity. When looking for prototype extrusions, there are alternative manufacturing techniques that can help if the exact material grade is not required. To understand which processes are relevant the required part length is as important as the profile. For example we have prototyped some 30mm extrusions by injection moulding. In this instance draft could be added and the short ‘cut length’ made the extrusion expensive. Additive manufacturing (3D printing) can help with ‘similar to’ materials. A common choice is Selective Laser Sintering (SLS) that can prototype lengths of up to 700mm in materials such as nylon (PA 12). Stereolithography (SLA) can be used to prototype clear extrusions although clarity is always dependent upon access for polishing! Flexible parts can be 3D printed in lengths up to 400mm, however this can be expensive depending on orientation and geometry. 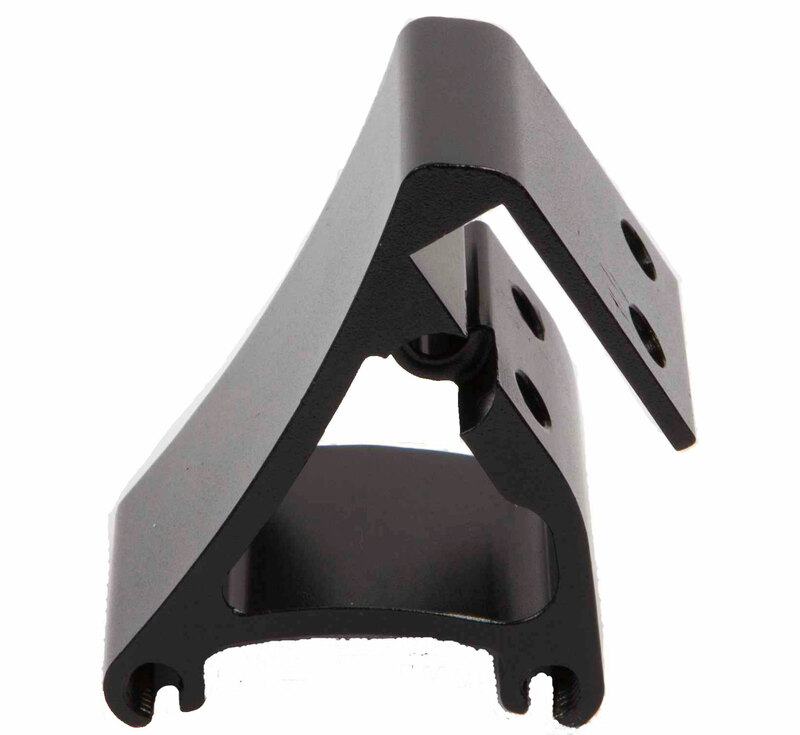 Additionally supports are required and there must be sufficient access to remove the support material. Aluminium extrusion is available, however if the form is simple, it may be possible to cnc the prototype up to lengths of 1 metre. This is extremely sensitive to geometry and wall section and will not be applicable in all cases. It is also possible to wire erode aluminium to give prototype extrusion lengths up to 400mm. An example of one of our extrusion projects can be seen here. If extrusion is something we can discuss with you to help make your project more cost effective, get in touch today to discuss your requirements. Production ready plastic extrusion in 20 days. Low volume plastic extrusion from China.